At Hickey Law Firm, P.A., we find that many individuals seeking information on traumatic brain injury (TBI) cases have similar questions. For that reason, we have assembled a couple of frequently asked questions that we often receive. If you are seeking legal counsel in the state of Florida for a TBI, a brain injury attorney from our firm can review your case and help determine your claim eligibility. We represent people from all over the world against cruise lines and others. If you experience any brain injury symptoms or brain damage symptoms following a head injury, first seek medical attention, and then contact an experienced Miami and Fort Lauderdale injury attorney to learn about your legal rights. What are some common causes of TBI? Traumatic brain injuries can be caused by many different factors. Any sudden trauma to the head can result in a TBI if it interrupts the normal functioning of the brain. According to the United States Centers for Disease Control and Prevention (CDC), accidents involving falls account for the majority of brain injuries in the U.S.
Motor vehicle accidents and accidents involving sudden head trauma (from falling objects or collisions) account for roughly the same number of brain injuries annually, ranking closely behind falls. Rail accidents, defective products, and medical malpractice can also result in potentially catastrophic brain injuries. Miami residents should make note that cruise ship accidents and cruise ship assaults can result in head trauma as well. 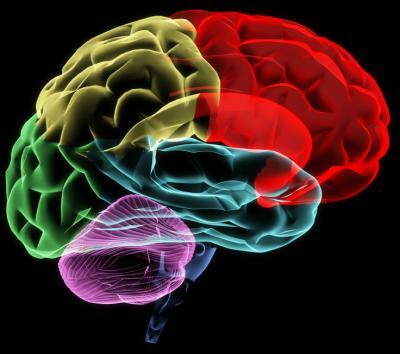 Brain injuries can be categorized as mild, moderate, or severe. An injury to the head can be considered either closed or open, both of which can cause a brain injury. A closed head injury is one that happens when there is trauma to the skull, causing the brain to move inside and strike the inside of the cranium. This type of trauma can cause bruising and swelling of the brain as well as internal bleeding inside the skull. If a foreign object or piece of bone pierces or fractures the skull in any way that is considered an open head injury. These can place the victim at a tremendous risk because of the potential for blood loss and bacterial infection. Regardless of the type of injury you or a loved one suffers, it’s critical that you stay in close contact with your healthcare provider to ensure you are receiving the care you need. These are just a couple of the many types of questions we’re asked in reference to a traumatic brain injury case. Our experienced attorneys can help you even further during your comprehensive consultation. If you have a legitimate TBI claim that was caused by the negligence of another we can pursue compensation so that you can get the medical care you need to live a happy, healthy life. If you’ve suffered a head injury, please call the Hickey Law Firm today at 305-371-8000 to schedule your free consultation. We proudly represent those who live in the Miami, Florida area and nationwide.